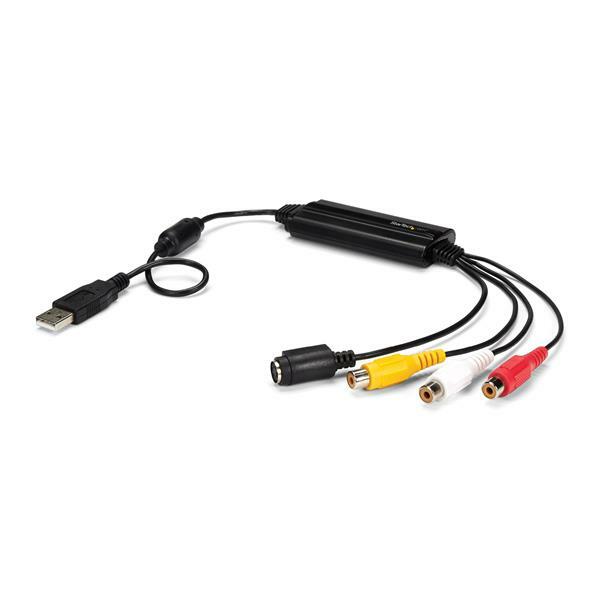 The SVID2USB23 USB 2.0 S-Video & Composite Video Capture Cable offers an easy to use analog video capture solution, enabling you to grab video from an S-Video or Composite video source, as well as the accompanying 2-channel RCA audio, to your Mac® or Windows® computer. 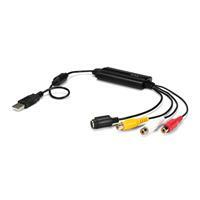 This analog video capture cable supports a broad range of operating systems, delivering seamless analog video capture for Mac® computers (OS 10.X), and Windows® PCs (Windows® 7/8/8.1/10, Windows® 2000/XP(32/64-bit)/Vista(32/64-bit)). Complete the instructions to install the device drivers. Press the Windows key + R, type devmgmt.msc, and click OK to open the Device Manager. 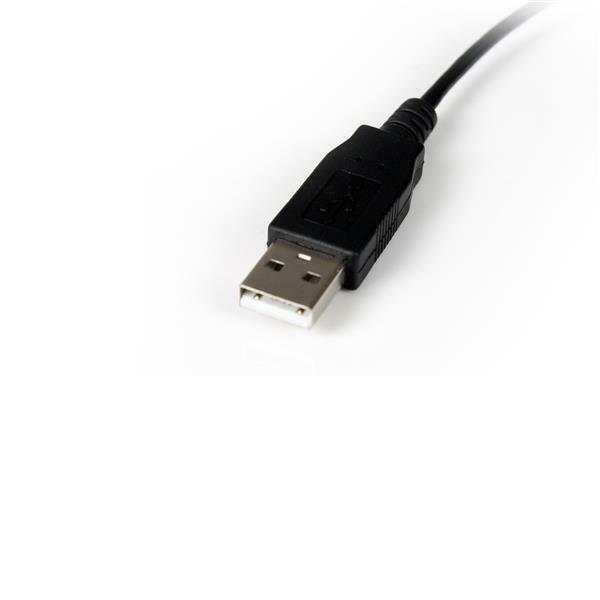 Expand the Sound, video and game controllers section and confirm that USB 2861 Device is listed. Close any video capturing software before you begin. Right-click the device that has “!” next to it, and click Update Driver. Note: If the driver is being recognized properly but there is still an error with it, it will be listed as USB EMP Audio Device. If a list of hardware types appears, leave the Show All option selected, and click Next. Browse to the extracted folder, open the Windows folder, the Twain Driver folder, and the Manual Driver folder. Open the 32-bit or the 64-bit folder, depending on your system type. Note: If the driver is being recognized properly but there is still an error with it, it will be listed as USB 2861 Device. Click the EMVIDEO file. Click OK, and then click Next. If you are in North America, make sure that the Video Format is set to NTSC-M in the video capture software options. Also, make sure that you have you have the Video format set to capture from S-Video or Composite, depending on which you want to use. Both the audio and video devices are showing up as audio devices in Device Manager in Windows. What do I do? Select the Delete the driver software for this device checkbox, if available. Repeat steps 1 to 3 for the second device. After both devices are uninstalled, click the Action menu and click Scan for hardware changes. Navigate to the StarTech.com website (http://www.startech.com/Downloads) and download the latest drivers for your product. You can find the part number and product ID on the product’s packaging. Note: Windows usually saves the files to the Downloads folder that is associated with your user account on the drive where Windows is installed (for example, C:\Users\your_name\Downloads). Right-click the device, which will have a “!” next to it to indicate a driver issue, and click Update Driver. Note: If the driver is being recognized properly but there is still a driver error, the driver will be listed as USB EMP Audio Device. If you see a list of hardware types, leave the Show All option selected, and click Next. Browse to the extracted folder and open the 32-bit or the 64-bit folder, depending on your system type. Note: If the driver is being recognized properly but there is still a driver error, the driver will be listed as USB 2861 Device. You can now open your video capture software to use with your SVID2USB23. If you are in North America, make sure that in the Video Capture Software options, you set the Video Format to NTSC-M. Also, make sure that you have it set to capture from S-Video or Composite, depending on what you would like to use. Before you test the video capture device on your computer, make sure that the driver and capture software is installed on your system for your adapter. Use as few adapters and extenders as possible. 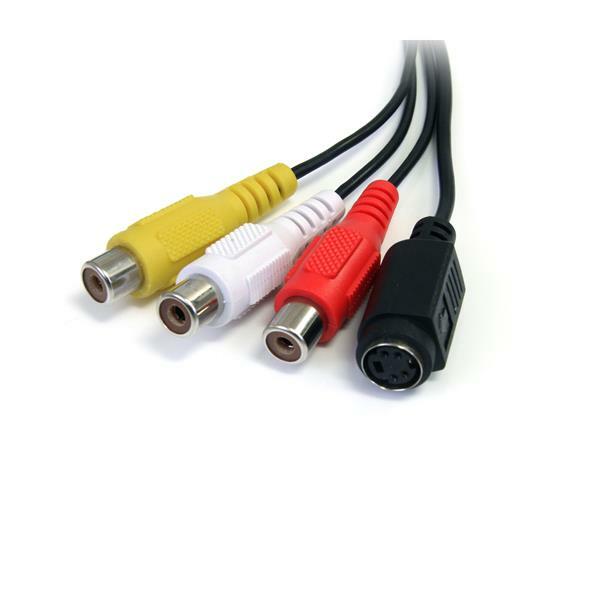 The video standard (for example, NTSC, PAL, and HDMI) of the video source matches the technical specifications of the video capture device. If you do not see the video capture device in Device Manager, visit https://www.startech.com/support/faqs/technical-support?topic=expansion-cards#usb-cannot-detect-windows. 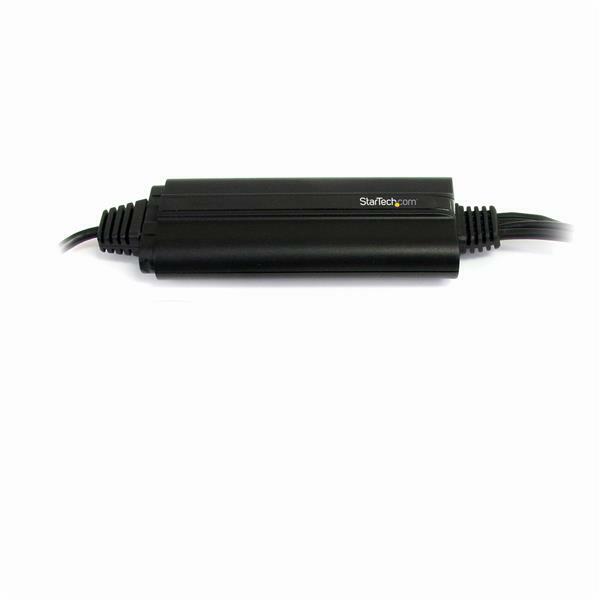 If the device is listed with an error, follow the instructions on the www.StarTech.com website to reinstall the drivers. In the upper-left corner of the screen, click the Apple icon. In the connection type, click USB and check for the eMPIA EM2861 chipset. If you do not see the video capture device in System Information, visit https://www.startech.com/support/faqs/technical-support?topic=expansion-cards#usb-cannot-detect-mac-os.